After MANY hours on our Maslow and a few serious chain wrap issues, I started problem solving. Tried a few screw in chain guide solutions that didn't fully correct the issue. 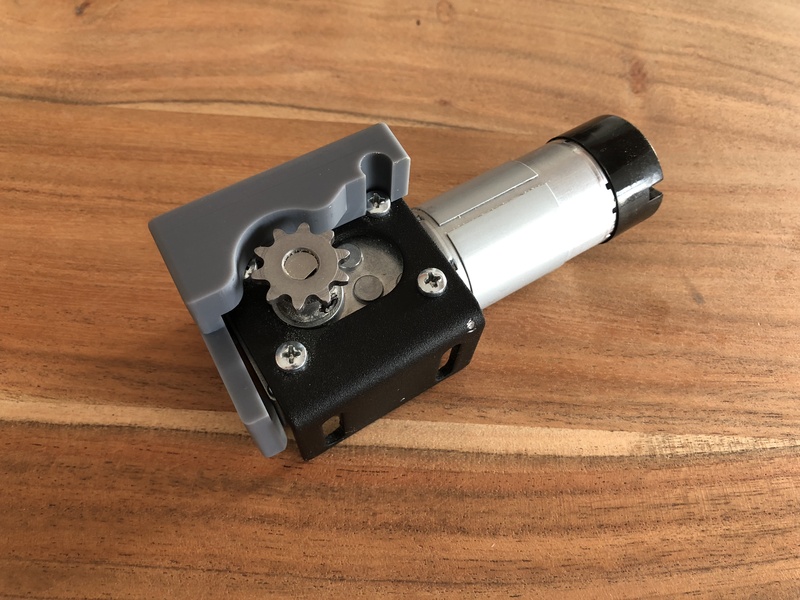 Finally I sat down and designed a cap for the motor's gearhub that ensures the chain wraps correctly. The two STL files are printed out of resin on an SLA type printer. These caps snap over the gearhub of the Maslow motors. They are additional secured by Zip-Tie, which can be slipped off when access is required for unwrapping or re-wrapping the chain around the gear. The final modification is a screw placed as shown in the photo below to ensure the slack end of the chain does not interfere with the active sled side of the chain. Aluminum spacers were used to reduce friction and encourage free movement over the screw. This modification combined with added weight to the sled has allowed near flawless cutting in all regions of a 4x8 sheet.